Ralph Lauren Home Colvin Decorative Pillow, 15" x 20"
Ralph Lauren HomeColvin Decorative Pillow, 15" x 20"
Perfectly complementing the paisley pattern of the Rue Vaneau collection, this throw pillow's decorative embroidered frame lends a stylish look to your bed. 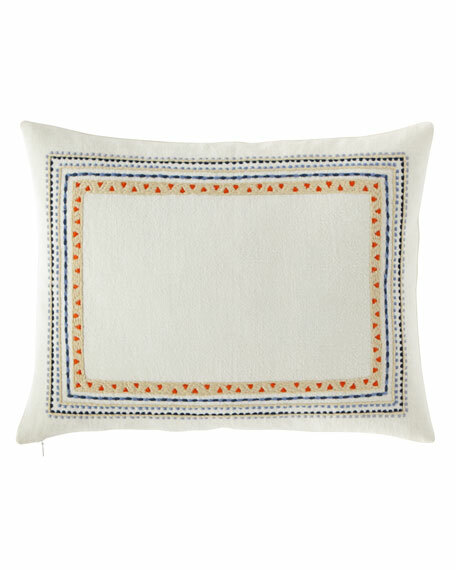 Pillow with embroidered frame at front. Concealed back bottom zip closure. Shell, linen; lining, cotton; embroidery, polyester.